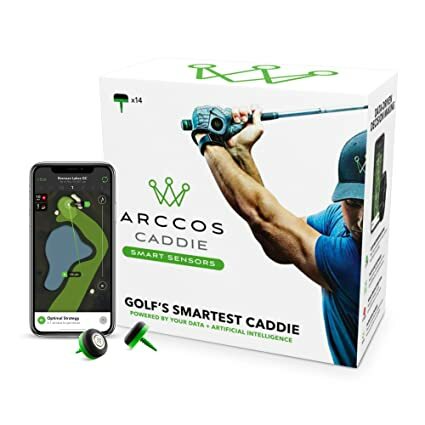 The holidays are right around the corner and now is the time to shop for all the “good” golfers in your life, no matter their handicap.This year, Golflink is putting out multiple lists of great golf gift ideas and we start with a look at the best stocking stuffers for golfers. The perfect stocking stuffers are small, useful and a surprise. 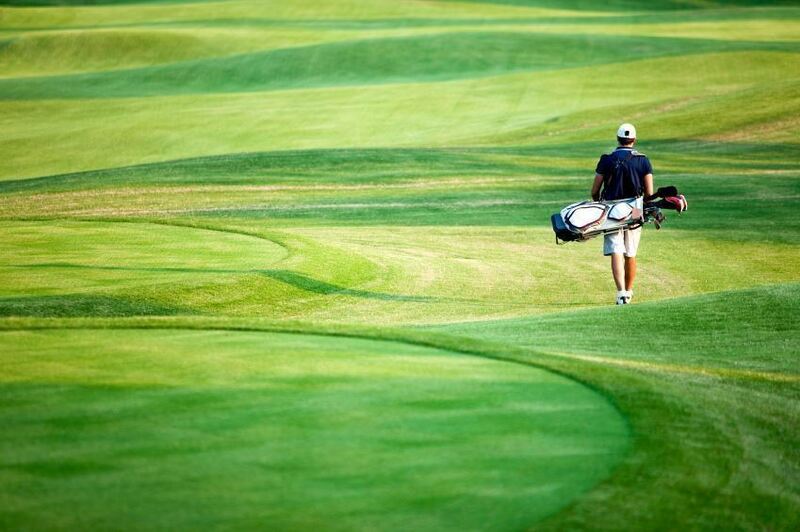 The following are 8 perfect ideas for the golfer in your life. Every golfer needs to constantly replenish their supply of tees, making a package of tees a thoughtful gift. Depending on how picky your golfer is, this could be as simple as buying the cheapest option at your local sporting goods store. However, there are many other options. An order of personalized tees can be purchased from GolfBalls.com to give a one of a kind gift. 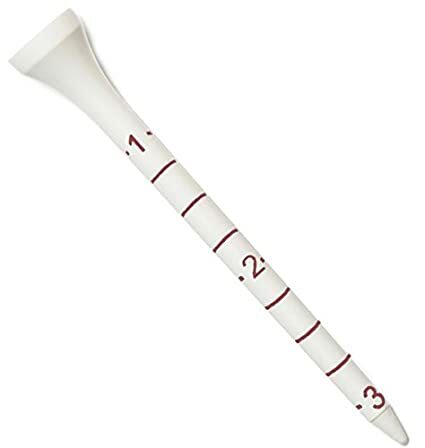 Callaway Enterni-Tees offer golfers a nearly unbreakable tee, while AckBrands MeasureTees feature measuring lines on each tee to make sure that every tee shot is at a consistent height. Another important part of any golfers bag, a club brush is used to keep club faces clean and ensure that the ball leaves the club flush and just as the designers intended. Keeping the grooves cleaned can also extend the lifetime of golf clubs. A great club brush is the the STIXX Golf Brush with a retractable clip. This 2-sided brush features brass bristles and nylon bristles on opposite sides giving you options while cleaning your clubs. 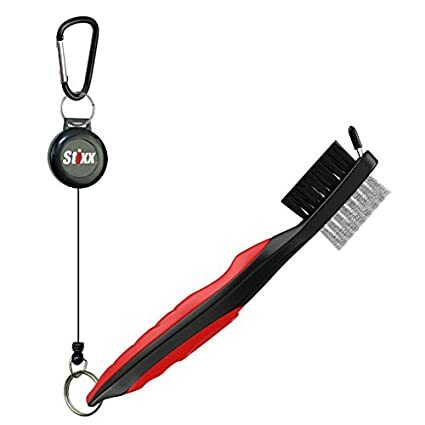 It also features a spike for cleaning the deep grooves of golf shoes, while the retractable clip makes it easy to use while strapped onto a golf bag. If your golfer already has a quality brush, a TruGroove Golf Club Sharpener is a great addition to their golf bag. Golf clubs become worn with play, and this groove sharpener helps breath new life into older club faces. By re-sharpening grooves in wedges and irons players can have improved backspin and ball control. 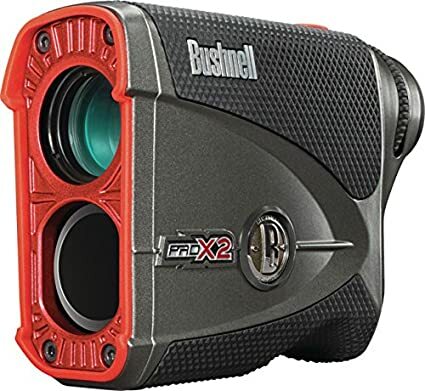 A rangefinder is a welcome gift for any serious golfer and Bushnell remains the industry leader. The ability to know exactly how far you are from the pin is invaluable on any course. 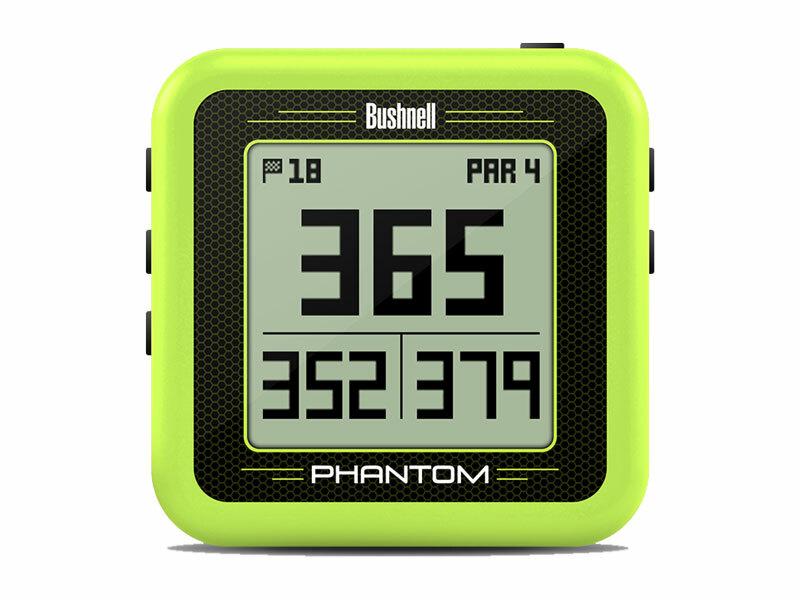 For golfers who want the help of a rangefinder but without the high price or hard to use features, the Bushnell Phantom GPS is a perfect choice. The small rangefinder can attach quickly to a golf cart via a powerful magnet and automatically senses the course you are on for quick measurements to the ront, back and center of the green. Another staple for any golfer is bag towels. There are numerous options for golf towels, including personalized towels or towels bearing the logo of a favorite sports team. 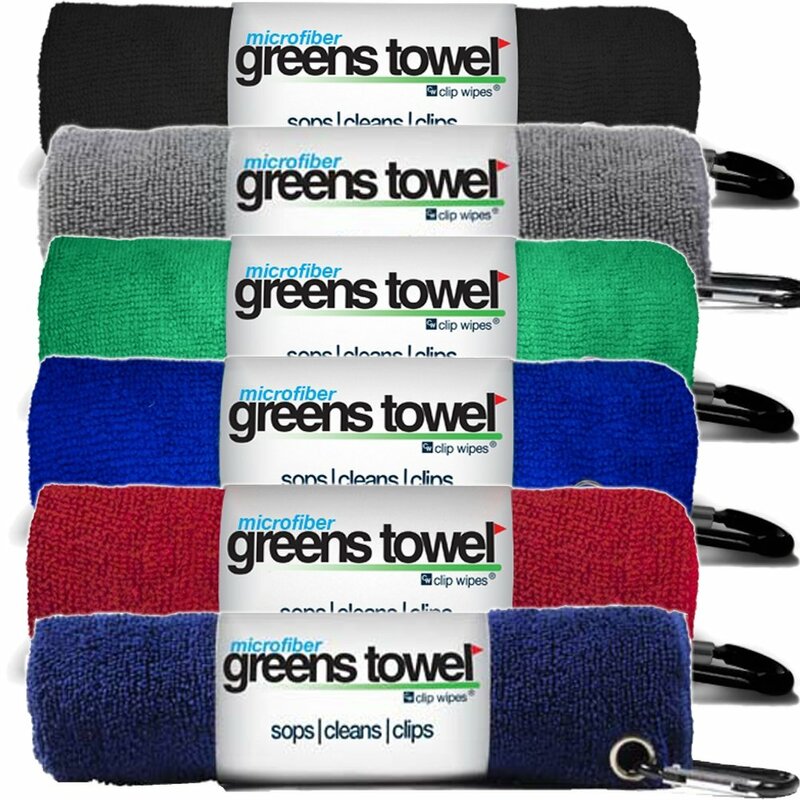 For the money, you can’t go wrong with the Greens Towel Microfiber 3 pack. The microfiber towel can handle the dirt and grime from golf ball and wedges, but is also gentle enough to be used on glasses. The towel can be tucked into your back pocket or attached to your golf bag with the handy carabiner clip, and its small size means it won’t get in the way. 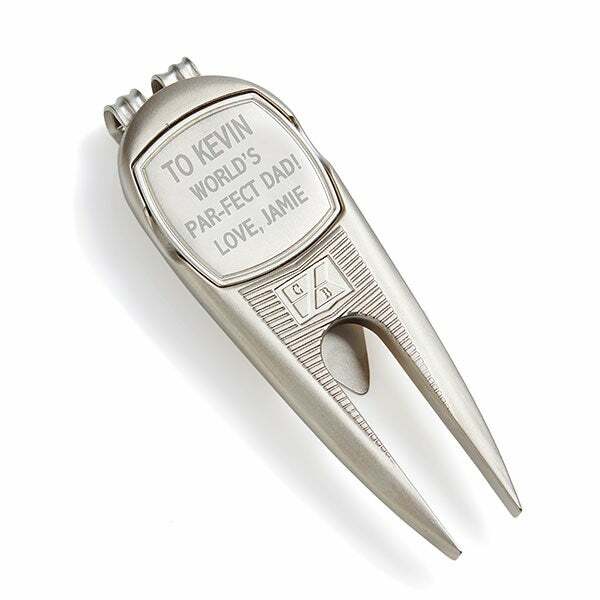 Another simple but heartfelt stocking stuffer is a personalized divot tool. There are numerous options for a personalized divot tool, but the combination of a quality metal Cutter & Buck divot tool and ball marker with a classy engraved message from Personalization Mall is sure to be appreciated by your favorite golfer. The tool can handle up to 12 character for the name, a phrase of 36 characters and closing line of up to 18 characters to make it really special, and the belt clip makes it always at the ready on the greens. Every golfer can use an extra sleeve of balls making this a perfectly thoughtful gift. I recommend looking into their golf bag to see their favorite ball is and ordering a sleeve. However, if you can’t check their brand loyalty, the Titleist Pro V1 is a safe bet to please any golfer. This high end product has superior ball control and is used by professionals across all the tours. A good golf book is another great gift idea. 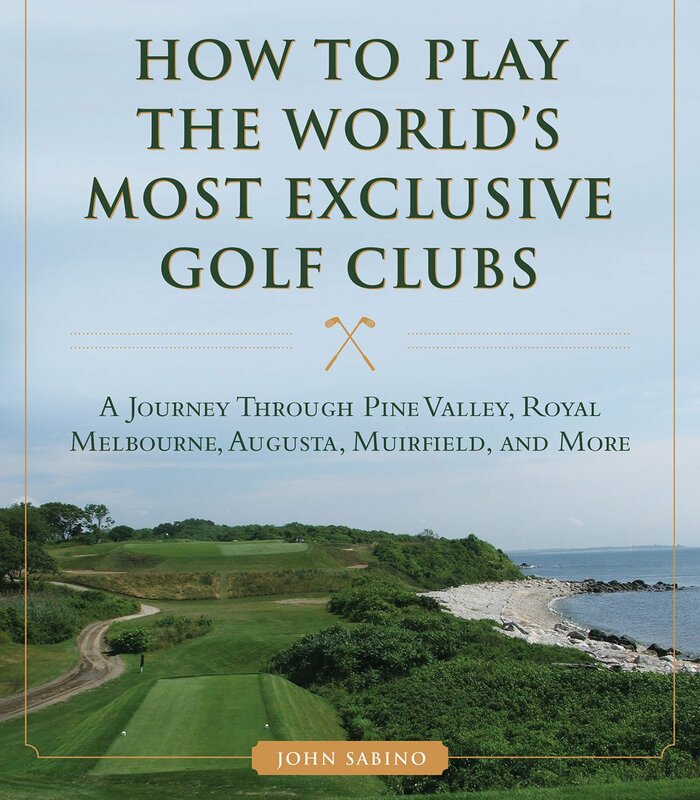 John Sabino’s How to Play the World’s Most Exclusive Golf Clubs does exactly that, taking the reader around the world and giving tips to get a tee time at courses like Muirfield, Augusta National and Royal Melbourne. 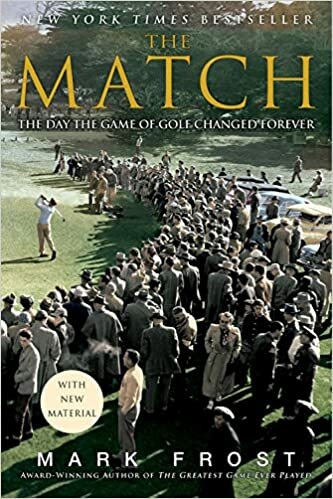 For the history buff, The Match: The Day the Game of Golf Changed Forever by Mark Frost tells the story of a side-bet between two millionaires that led to 2 leading amateurs, Harvie Ward and Ken Venturi, playing a best-ball match against a team of legendary golfers Ben Hogan and Byron Nelson. A must-read for any fn of golf's glory days.